Children age three greatly anticipate being a part of a school setting! They attain skill development in cooperative play, listening and sharing, in both small and large group activities. 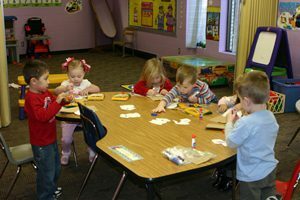 Early academic curriculum (shapes, colors, counting, coloring & cutting) and biblical teaching are the focus of daily learning.